I had no idea when I laced up my running shoes for my first run in the Copper Canyons of Mexico that in just a few short miles I’d be holding a human skull in my hands. Dropping off the canyon rim, the trail instantly changed from drivable two-track to beautiful single-track, rolling aggressively downhill. After two miles and about 1,000 feet of descent, my running guide, Gustavo Lozano, and I arrive at champion Tarahumara ultrarunner, Ignacio Moreno’s home, perched on the 30-foot wide sub-ridge. After a decade of running ultra-marathons I had yet to race against or even meet one of these famous tribal runners made famous by the book Born to Run. Setting his axe against the pile, Moreno takes off running down the trail in jeans and huaraches, the traditional opened-toed running sandals of the Tarahumara, made from old tires. After a mile he veers off the well established trail and bombs down a 55-degree slope of loose dirt, small rocks, leaves, and tree branches. About 100-feet down Moreno waits for us just a few feet away from a cave. This isn’t something you just stumble upon, these slopes are inhospitable for anything but mountain goats and mountain-humans exploring off the beaten path. On top of some wood there is a person's skull, long since stripped clean of soft tissue. As I examine it with childlike awe and ignorance, Lozano begins puzzling out how it got here. "This is probably a few hundred year old grave of a Tarahumara," he says. "They escaped to the canyons to survive the Spanish." The Spanish conquistadors he’s referring to arrived in the area in the 1500s, a time when the Tarahumara lived on a much larger expanse of land reaching onto the Chihuahua plains. To avoid years of bloody battles, the tribe moved west and into the mountain peaks and canyons of the Sierra Madre Occidental and an area often referred to as the Copper Canyons. Unable to understand the tribal language, it was the Spanish who gave them the name Tarahumara. Their name for themselves, however, is "Rarámuri," which means "foot runners," or "running people." 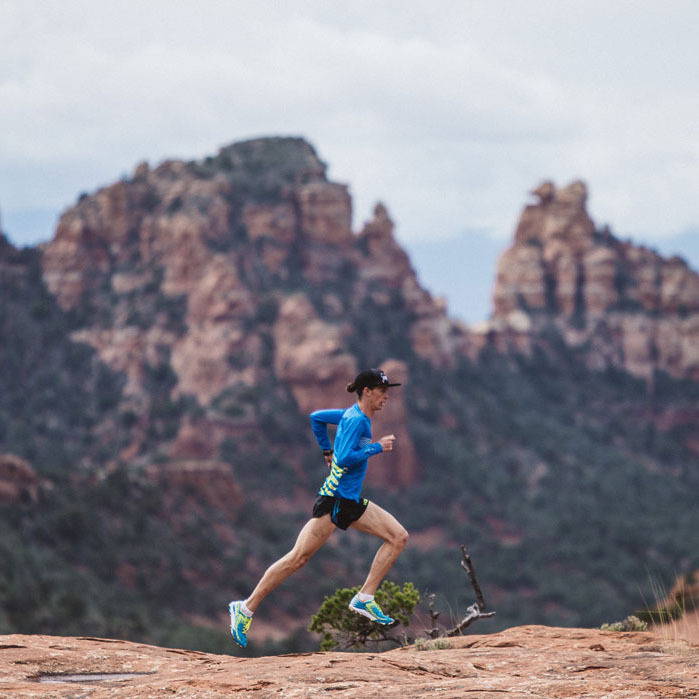 Throughout their history, whenever the running people are threatened, they strategically retreat on foot ever deeper into the canyons. Beautiful but unforgiving, the cavernous and mountainous terrain is simply too steep to allow for roads, grocery stores, or 7-Elevens. As such, running has been the only reasonable way to get around for centuries. Tales of unbelievable endurance have been making their way out of these Mexican canyons for decades, like athletes running 500 miles while carrying 40 pounds of mail, or covering 435 miles in a single run. Researchers and physiologist who’ve visited the area have compared the Tarahumara to the Spartans of ancient Greece for their cultural proclivity for being preternaturally fit. 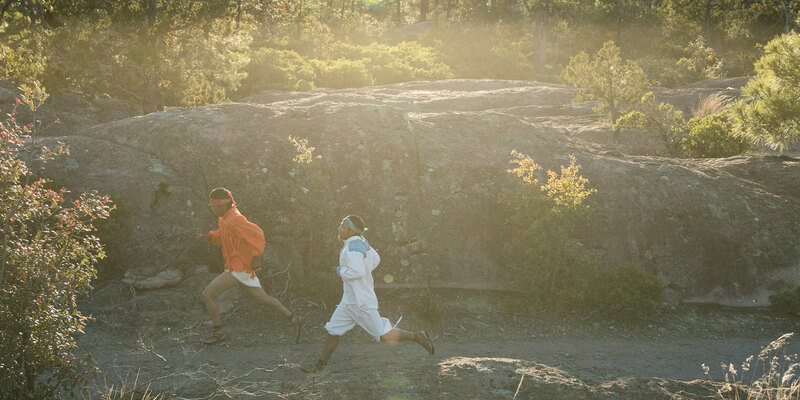 Some Tarahumara have even traveled north and seen success on the American ultrarunning race scene. I’m skeptical when Moreno and his friends tell me they don’t really train, that they just run commute and race. But, after seeing what they live amongst, I realize their day-to-day life is training. If they need food or water, they must run. If they want something in town, they have to run to get it. Their best athletes are revered and known throughout the villages. Moreno, who last year won the Challenge of the Canyons 100km ultra-marathon, began running in elementary school to practice for their ultrarunning ball-game, called rarajipari. He didn’t realize he could compete with the fastest athletes until just three years ago. "I like that I can pass people in the races and, of course, win, but I just love the feeling of running," says Moreno. "I’ll be running when I’m an old man, it’s what we do." 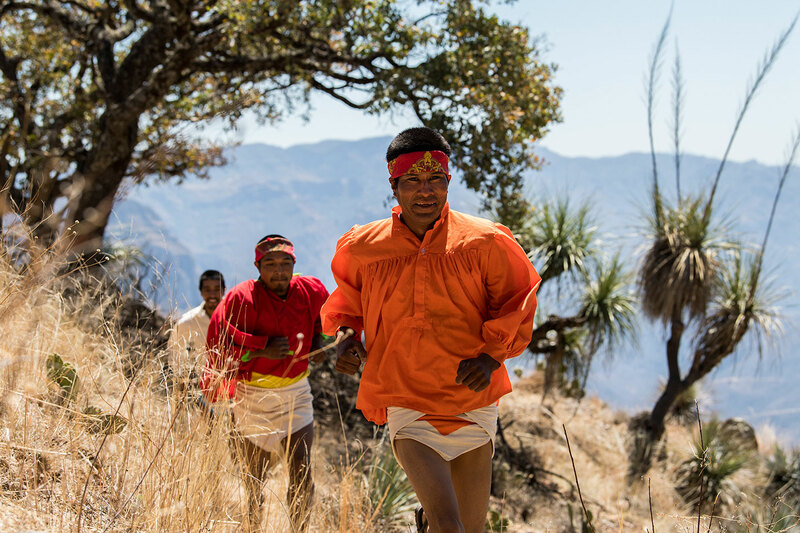 Today, Moreno and his two fellow Tarahumara are running in their traditional clothing, a treat for us out-of-towners. 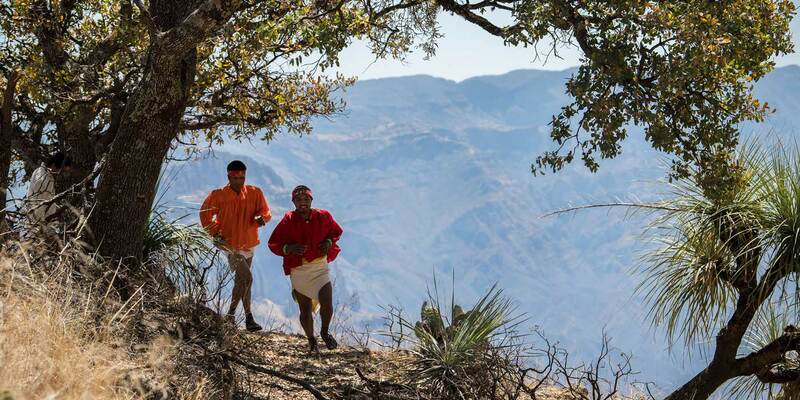 More often than not, the Tarahumara now run in whatever they are wearing when the mood strikes them, or, the common American running garb of shorts and a wicking t-shirt. I follow them down a single-track trail that quickly turns to loose scree. As we fly down the terrain I’m struck by how nimble and athletic these runners are. As I take the long way around the trail’s switchbacks, the Tarahumara, without hesitation, just some laughing and bantering, launch down the fall-line of the slope, off trail. On a map the terrain is a jigsaw of contours. We continue up a steep trail that ascends 800-feet to a prominent terrace feature which affords us a striking view of the town of Urikea and the mountains to its north. A wasp lands on Moreno’s hand. He calmly brings it to his face for closer inspection while the chabochi (the Tarahumara word for non-Tarahumara) back away in mid-panic attack. I ask him why he’s not scared to be stung by the wasp and he replies, "If you don’t bother them, they won’t bother you."